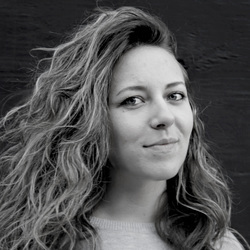 Anna Pietrzak is an architectural designer at Kohn Pedersen Fox in New York and committee member of the KPF Young Designers' Forum. Her work has been featured in several publications including a winning entry in the Blank Space Projects Architecture and Fairy Tales Competition. Anna is also a fine arts photographer and illustrator. Her artwork has been exhibited internationally and received honors, including a Gold Medal by the Łódzkie Towarzystwo Fotograficzne in Poland. Anna will be serving as the NYC AQUARIUM & PUBLIC WATERFRONT jury administrator. Anna will be an intermediate between the arch out loud team and the jury members during the selection process.